Pfizer has announced the launch of a new research unit known as Pfizer Regenerative Medicine. This independent research unit will build on recent scientific progress in understanding the biology of stem cells and the opportunity that provides, to discover and develop a new generation of regenerative medicines for major medical needs. The new unit will announce several significant scientific collaborations in the coming weeks that will place Pfizer at the forefront of an emerging area of science that could one day bring hope and benefit to millions of patients worldwide. Scientists at Pfizer Regenerative Medicine will explore the use of stem cells to develop future treatments that may prevent disability, repair failing organs and treat degenerative diseases. The ultimate goal will be to deliver new medicinal products that can pave the way for the use of cells as therapeutics. “Pfizer Regenerative Medicine represents a great opportunity to focus world-class research in a field that holds considerable promise for biomedical science and for the treatment of many debilitating conditions such as diabetes and neurodegenerative disorders.” said Rod MacKenzie, PhD, head of Worldwide Research at Pfizer. Imre Zs.-Nagy, MD, winner of the prestigious Infinity Award and editor-in-chief of the scientific journal Archives of Gerontology and Geriatrics, talks about advances in Anti-Aging Medicine. In the very recent past, Anti-Aging and Regenerative Medicine has taken a huge step forward. Even before the concept of a "Fountain of Youth," bright minds studied and tried to understand the aging process. Now, because there have been so many recent breakthroughs, knowledge has moved to a new level. Some of the new discoveries are astounding. It's not so easy as a sip from a magic fountain, though. Our bodies and minds are incredibly complicated. We humans have many differences too. So each person can present a different set of problems for physicians who would help us halt or reverse the aging process. Researches have divided and subdivided their work. 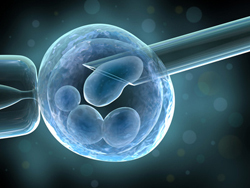 The primary categories are "Aniti-Aging Medicine" and "Regenerative Medicine." Anti-Aging Medicine is a specialty field. So a physician might obtain a medical degree and then apply for a specialty in Anti-Aging, requiring additional years of study. According the the American Academy of Anti Aging Medicine (A4M), "anti-aging medicine is based on principles of sound and responsible medical care that are consistent with those applied in other preventive health species." Anti-Aging Medicine is supported by scientific evidence and an orderly process of acquiring data. The National Library of Medicine hosts more than 3,000 peer-reviewed articles on the subject. Regenerative Medicine is also a specialty field. It is the process of replacing or repairing tissue and organs. Commonly, we think about organ replacement such as kidneys or a heart but in today's world, regenerative medicine includes stimulating the body to create it's own replacements. A good example is knee cartilege which can be regenerated by the body through microfracture procedures. Growing organs in labs and transplanting them into humans; soldiers who have been injured are re-growing muscle and successfully using limbs transplanted from cadavers; dramatic results for ALS and stroke patients; and much more. Anti-aging and Regenerative medicine provide ways for all of us to live well longer. Discoveries are happening fast, almost on top of one another. It's worthwhile to pay attention.